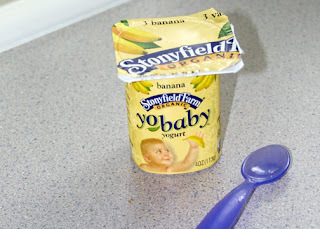 Lately I'm loving Yo Baby yogurt. Lotus loves it too, but I think it's just the name of the yogurt itself. It's just fun to say. 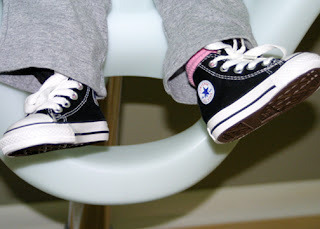 L finally grew out of her tiny newborn size 1 Chucks so we had to break out the size 2 black hi-tops. Pretty cool kicks, huh. I LOVE HER BABY CHUCKS!